Sir. You recently penned an article attacking the Honorable Minister Louis Farrakhan in The Hill (September 7, 2018) in which you attacked former President Bill Clinton, who you identify as a “good man and a friend of the Jewish people,” for sharing the stage at the memorial service for Aretha Franklin at one of the premier Black churches in Detroit with Minister Farrakhan. You continue your rant that the Minister is an anti-Semite and a bigot. Also, you referenced a 13-year-old photo of Minister Farrakhan and President Barack Obama taken with members of the Congressional Black Caucus before Mr. Obama started his campaign for the presidency of the United States. For the record, let me advise you that Minister Farrakhan has taken pictures with a total of four American presidents. They are George H.W. Bush, Ronald Reagan, Bill Clinton and Barack Obama. Therefore, based on your penchant for criticizing American presidents who have taken pictures with the Minister, you may want to posthumously criticize Mr. Reagan and phone Mr. Bush and share your distain with him for having shaken Farrakhan’s hand. For your information, Min. Farrakhan has traveled to over 110 nations and he has been welcomed as a head of state by the presidents of numerous countries around the world. Those countries include Turkey, Ghana, Libya, Nigeria, Iran, Syria, Trinidad, Iraq, Jamaica, Cuba, and South Africa, just to name a few. As a world leader, shaking a president’s hand is old hat for the Minister. You imply in your article that being on the stage with Mr. and Mrs. Clinton was the equivalent of “normalizing” Min. Farrakhan. Minister Farrakhan has been seen by hundreds of millions of people around the world, before he ever set foot in the Baptist Church in Detroit. He is one of the most recognizable human beings on the planet. In 1974 he organized a Black Family Day rally at New York’s Randalls Island in which 70,000 people stopped traffic in Manhattan to see a man who would emerge as the leader of Black America and a global spokesman for Muslims around the world. That same year Minister Farrakhan spoke before a packed stadium in Jamaica before a rousing crown of 25,000 people. In 1985, Minister Farrakhan addressed an overflow crowd of 25,000 at Madison Square Garden. Moreover, he has called four major marches in Washington, D.C., in which more than four million people were in attendance. In Iran, the Minister addressed an audience of 20 million live and on television. Trumpet Newsmagazine, a publication of Trinity United Church of Chicago, awarded him its Lifetime Achievement Award, and said, “Minister Farrakhan will be remembered as one of the 21st century giants of the African-American religious experience.” And don’t forget that Time magazine named him “One of the 25 Most Influential People in America,” while Vanity Fair identified him as “One of the 65 Leaders Who Shape and Rule the World Today.” Therefore, your attempt to belittle the Minister is laughable. Does sharing a stage with a man who bombed an aspirin factory in the Sudan to distract from the Monica Lewinsky scandal and killing innocent people normalize him? By sharing a stage with a man who passed a bill increasing the incarceration rate of Black and Brown youth for political purposes normalize him? Does sharing a stage with a presidential candidate with a woman who labels Black youth “super predators” normalize him? Having to share the stage with a governor who is responsible for a toxic water system in Flint, Michigan, that will impair the lives of untold numbers of people for years to come does not normalize him. If anything, the former president, the former presidential candidate and the Governor of the State of Michigan are quite abnormal by all civilized standards. You have identified yourself, sir, as a civil libertarian. You have even championed the civil libertarian rights of Donald Trump and some of the most despicable criminals in America. However, you eviscerate the character of Minister Farrakhan on both national television as well as every other media outlet in your command. You label him an unrepentant anti-Semite at every opportunity you get. Does he not have the same civil libertarian rights as any other American resident of this nation? Freedom of speech is supposed to be the cornerstone of civil liberties. The example of his anti-Semitism, from your perspective, is his referring to corrupt, recalcitrant and wayward Jews as members of the Synagogue of Satan. That depiction of Jews did not originate with Minister Farrakhan. That language originates with Jesus. Was Jesus an anti-Semite? Is that why the Talmud says Jesus should be boiled in hot excrement? Is that why the Talmud says that Mary, the mother of Jesus, was a whore? What about Moses and Isaiah, and Jeremiah who have reproved the Jews for rebuking the teachings of Yahweh. What about Micah who said the rulers of Zion built the city in bloodshed and wickedness? Are all these prophets of God anti-Semites, too? If so, then Minister Farrakhan is in good company. The Jewish community has been on a 34-year vendetta against the Honorable Minister Louis Farrakhan. 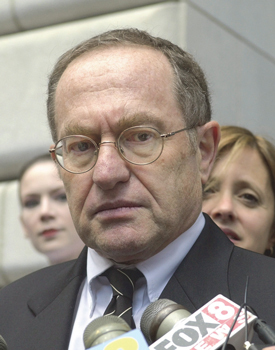 He has proved repeatedly that he never said what he has been accused of by the ADL and the other Jewish leadership groups to have said. Then why continue to castigate him publicly? Regrettably, your denigration of Black people does not stop with Farrakhan. Your attack on the young people of Black Lives Matter demanding that they rescind from their platform all references to Israel as a racist apartheid state that commits genocide against the Palestinians is reprehensible. The Israeli consul general in Atlanta recently announced that Israel will target Black youth to designate them as anti-Semites. Your and the Government of Israel’s plot is to target these young Black people as terrorists and to subject them to potential physical harm. The consul general, Judith Varnai Shorer, boasted of a dinner she held in which the guests were given a “scroll tied with ribbon” which was a printout of your article, “Black Lives Matter Must Rescind Anti-Israel Declaration.” Just think of this. You are colluding with a foreign nation, Israel, that’s targeting Black youth for expressing their right of free expression. What a strange position for a constitutional lawyer to adopt. A key component of your hatred of Farrakhan is based on The Minister’s loving and respectful relationship he has with today’s youth. This is the same population you are seeking to influence. However, his magnetic attraction outweighs this generation’s distain for your desire to exploit them to have them serve as unwitting lobbyists for Israel. But why this preoccupation with using Minister Farrakhan as a scapegoat? Your strategy is to use Farrakhan as a smokescreen. Your fear is that Louis Farrakhan will expose the sins of the Jews that have been kept from the public and expose to the world your true identity. I am, sir, preparing a document especially for you. 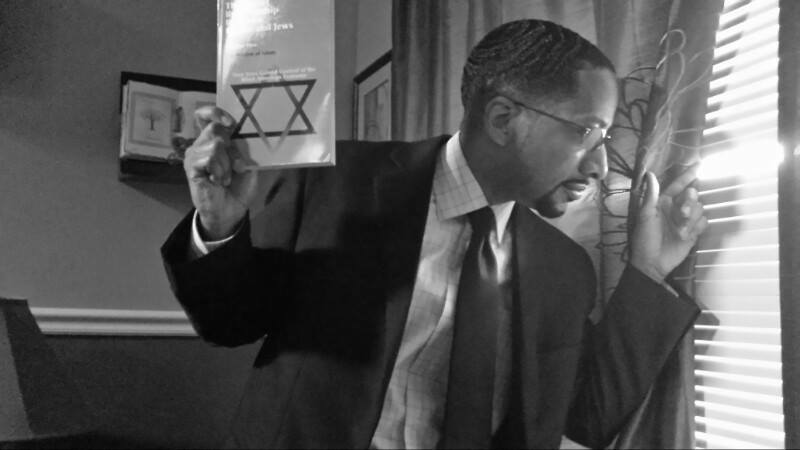 We will discuss the leadership role the Jews played in the enslavement of Black people. Black scholars have written that the slave trade resulted in the deaths of 100 million people. We will document the role the crypto-Jews played in the destruction of the Ottoman Empire under the leadership of Kamal Atatürk and B’nai B’rith. We will document how the Wall Street bankers under the leadership of Jacob Schiff and the Rothschilds and the Warburgs funded and directed the overthrow of Czar Alexander II and destroyed the Russian Empire in 1917 and replaced him with the Jewish Bolsheviks. We will provide empirical data that will show how one orthodox, observant Jew, David Sassoon, used opium to bring down the 5000-year civilization of China. Therefore, we will hope to put into perspective why the Honorable Minister Louis Farrakhan, sitting silently in his seat paying respect to his Sister, Aretha Franklin, caused such a stir in the Jewish community, and in America. Jackie Muhammad is a member of the NOI Research Group.